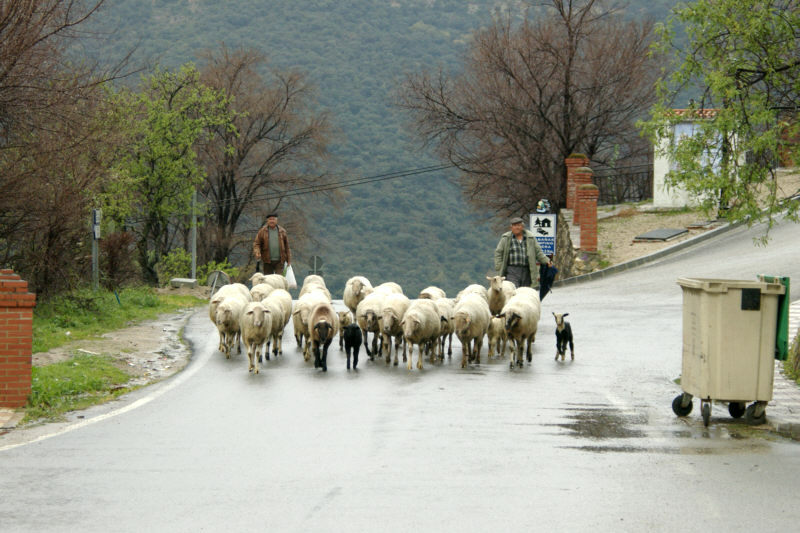 Photo: Sheep moving from pasture to pasture along the main road. Eastern Mojave Vegetation Sheep moving from pasture to pasture along the main road. We stopped and parked at the fountain near the entrance to Jimera de Libar. Adjacent to the fountain was a small building with a trough of water inside. I believe this building was a place to wash clothes. While we were waiting, two men drove a small flock of sheep up the main road, through the edge of town, and then up into the hills to graze.